Ok, many of you know that I came to teaching later in life. Good decision by the way. So “the dream” was always to “summer at the beach” as part of that new endeavor. So, this year, the dream became a reality. 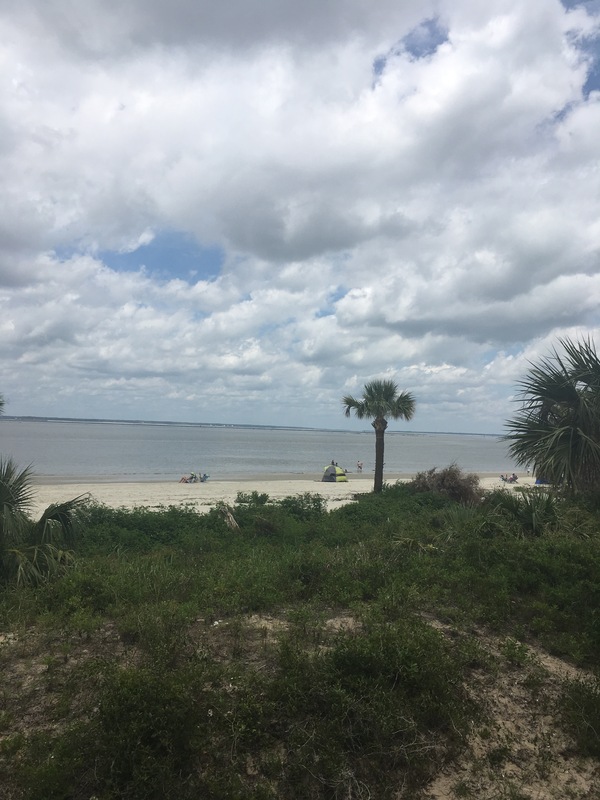 I am spending 6 weeks in Tybee Island, a small barrier island off the coast of Georgia. Twenty minutes from Savannah and lots to do…or not do, which is more my plan. I find it interesting that many people find it “independent” of me to vacation solo. Seriously, if I waited on someone else, I’d never get to go. Yes, it’s a little more challenging but it truly is a mindset. I go with the attitude that I’m at the advantage because I can do what I want, when I want! So my future posts will be chronicling my “dream” and how to enjoy it with an open mind and heart. Normal Georgia humidity kind of June day. My condo is on the residential North Beach area. Highly recommend StayTybee.com for your needs. Very helpful and accommodating. Tybee Island has beautiful sand dunes to protect the island. The walkways over them to the beach off a nice view of some of the wildlife. The area of the North Beach is located where the Atlantic Ocean meets the Savannah River. The dolphins swim out in the morning and return in the evening. A beautiful sight to behold. 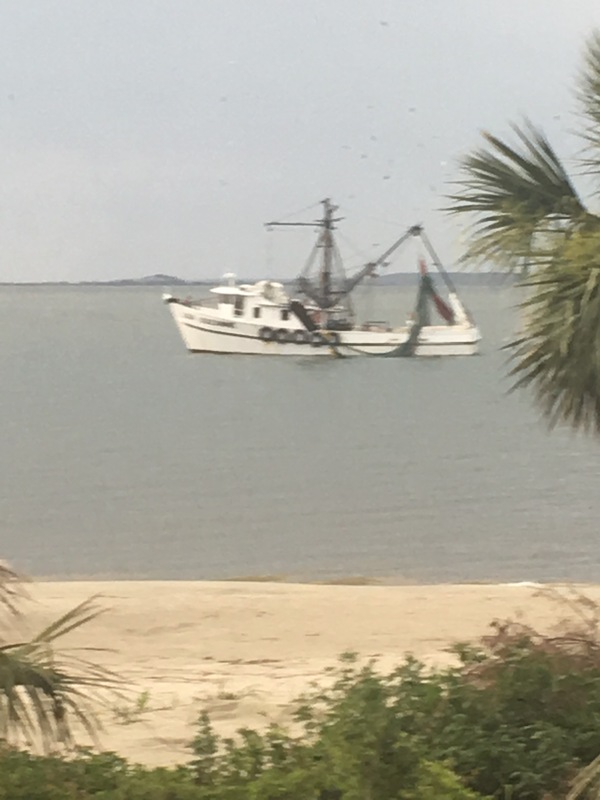 And if a shrimp boat happens to be in the area, they are in heaven. More from Tybee soon! The ocean is calling my name! So excited that you have started your summer 2017 adventure. Can’t wait to see more pics!! We were just there last December! We loved the little turtle aquarium, the lighthouse and the area in general. Thank you! Yeah, it is so cool here. The turtles are actually building their nests on the island now…I think there are 11 so far. Oh! That would be wonderful to see!